There are many options when it comes to alignment clamps, and that’s why we made the Sawyer External EZ Clamp the finest pipe fit up around. 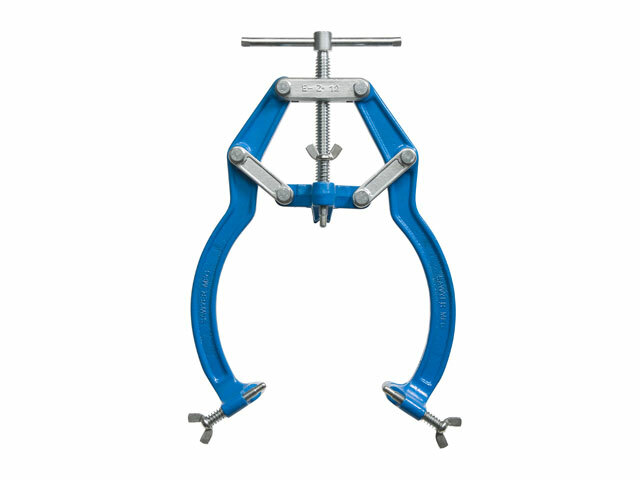 For all your pipe-to-fitting and pipe-to-pipe clamping needs, the EZ Clamp offers the utmost in versatility without compromising usability or durability. Able to be used on nearly any material and with unparalleled ease of attachment, these line up clamps are without equal when compared to other pipeline welding clamps. With four different models, from 1-inch to 12-inches, there is an EZ Clamp to accommodate any situation requiring fit-ups, alignment clamps or line up clamps. It easily attaches to align pipes, flanges, elbows, and reducers and can be used on a wide range of materials, including stainless steel, various alloys and even plastics. For even greater adaptability, this lightweight fence clamp is built with wing nut screws that allow it to easily adjust to any specific pipe clamp requirement, quickly and accurately attaching with instant centering. The Sawyer EZ clamp is field tough and designed with precision cast construction to withstand the hazardous conditions of the pipeline field. Simply put, these fit-ups will stand the test of time and keep clamping away. For the absolute best in pipe-to-pipe and pipe-to-fitting clamps, the Sawyer External EZ Clamp is a no-brainer.